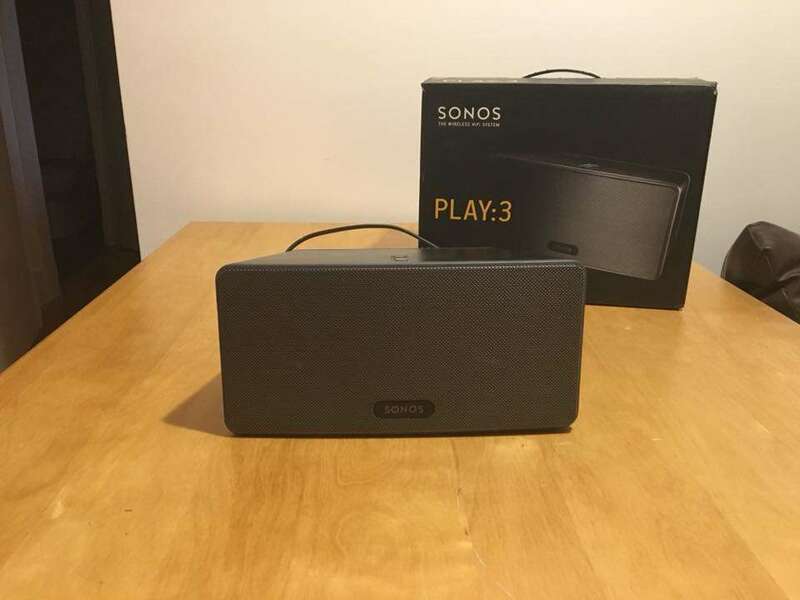 Sonos Play 3 Speaker (Black) with original box. £250 in the shops. Couple of years old but Sonos are yet to bring out a new version they just keep updating this version with new firmware, which shows how on the money it is. There are a couple of cosmetic marks on the top of the speaker, and it’s missing one of the little rubber things from underneath. 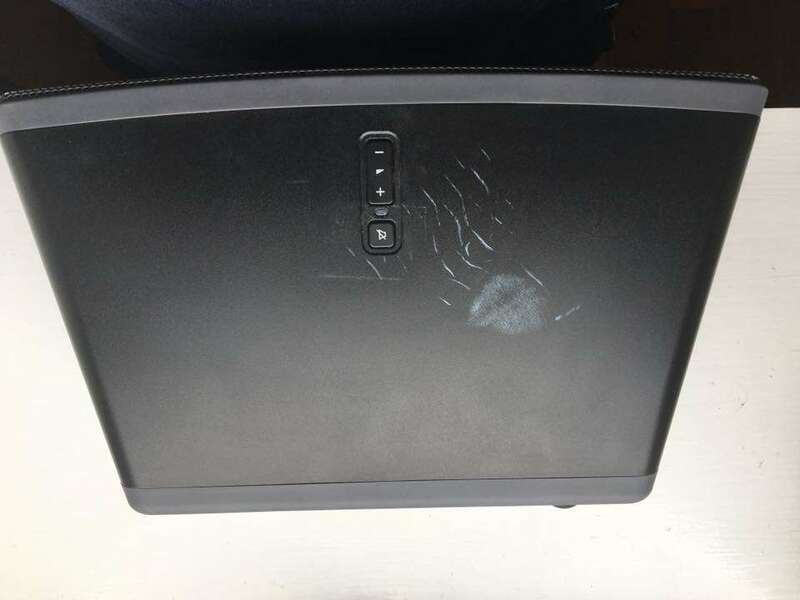 I’ve included pictures so you can see those marks. Other than that it’s absolutely great.